Following a loss to Charles Oliveira, TUF Season 8 winner Efrain Escudero will take a week off as the promotion reprieves him from the Octagon. What enlightenment will Escudero have during his one week repose? 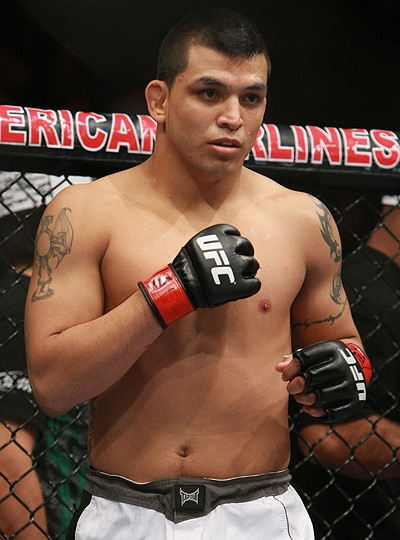 After his September 15 loss to Charles Oliveira, TUF Season 8 winner Efrain Escudero has been released from UFC. He was originally set to face John Gunderson for the undercard match in last week’s UFC Fight Night Event, but Gunderson was injured and he ended up with Oliveira instead. However, Escudero was submitted in the third round of the lightweight match by the Brazilian fighter, compelling the promotion to discharge him. The released fighter pointed out that he will be taking the week off, and will ponder for his future for the time being. Escudero’s release in the promotion marks the first time that UFC dispenses a TUF winner.